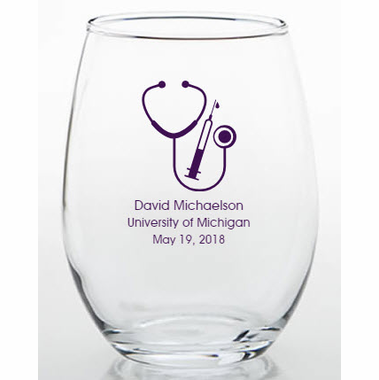 Gift graduation customized 9 ounce glassware to the guests at your medical school grad party to express thanks for their presence in a thoughtful way. The symbolic stethoscope imprint on these glasses is a detail that they are sure to notice. 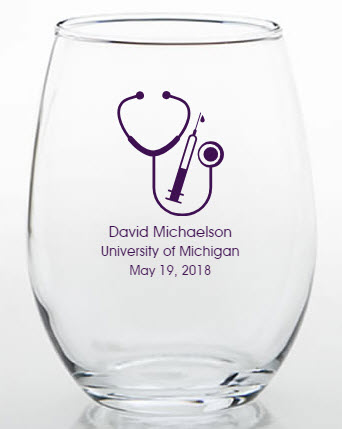 Use them to serve drinks at the event and hand them out as favors at the end of the day. Don’t forget to add your name and graduation date as a finishing touch. Each glass measures 3.75" tall and 2.5" diameter.